Yesterday, the beau and I took a trip to Malden to visit his Mom and her new vintage shop, Maison Decor. It has been a dream for Amy Chalmers to open a shop and now was the time! Amy is a fabulous interior designer and blogger. With all her expertise in decor, this is the perfect venue for Amy! Take a look around! The store is very shabby chic with so many romantic touches! How fun are these hot pink chairs? 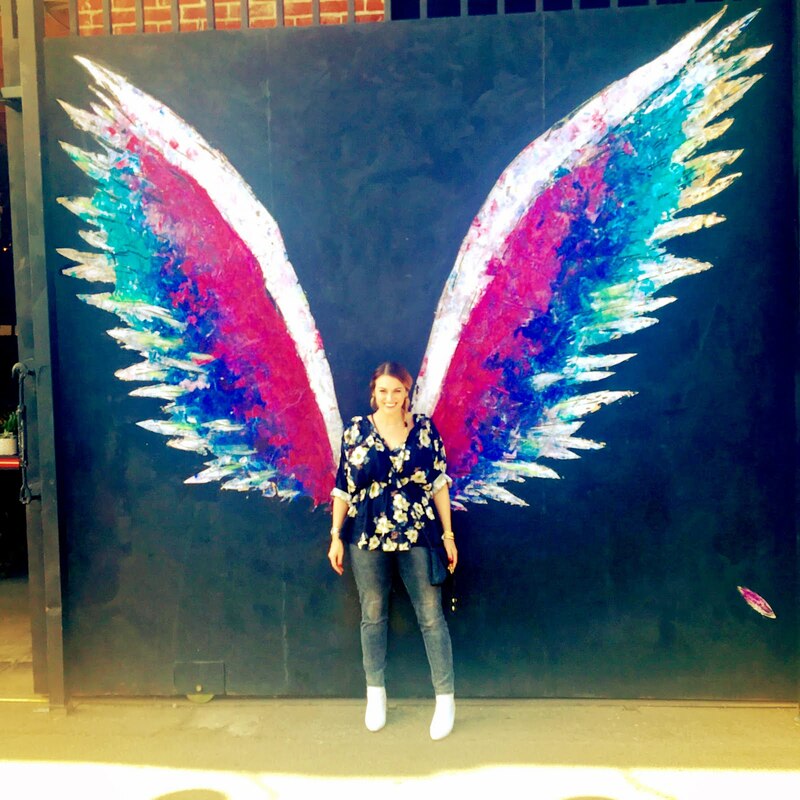 These angel wings ($185) will soon find a place in my apartment. Look at how Amy decorated the door! The floor was painted with large stencils. I adore this idea. It's a love poem. Of course we snuck out with a gorgeous piece of furniture to go with my desk set! I will be showing it off soon! Stop by the shop at 50 Summer Street in Malden, MA. Thanks for visiting the shop yesterday~you looked beautiful! Love the pics you took for this post too!! Jaime! You must hit it up! The pieces are so original! Thanks Amy!